Welcome to the Holiday Party Giveaway! Send your child a personalized postcard from Santa, reminding them now what they have to do to be on the Nice List. Let Santa be the Motivator! You can customize your postcard(s) with not only your child’s name but with the specific things they need to try to do to be on the Nice List, like listening to their parents and picking up their toys. You can even customize your own entries! Santa Will Write also has some great Christmas packages that include toys, games, stickers, and other fun holiday goodies! YumEarth, the #1 organic candy company in the US, makes holiday treats that taste better because they are made with real fruit extracts and planet friendly ingredients grown on sustainable family farms. YumEarth Organics Gummy Bears contain no artificial colors or flavors, no high-fructose corn syrup and no major allergens, such as gluten, nuts and dairy. Each serving provides 100% of daily vitamin C and has less than 70 calories. YumEarth Organics Gummy Bears are the world’s first organic gummy bears with the quintessential bouncy texture of a traditional gummy in mouth-watering fruit flavors: Pomegranate Pucker, Strawberry Smash, Mango Tango and new Perfectly Peach. YumEarth Organics Gummy Bears are a perfectly delicious stocking stuffer for a Happy & Healthy Holiday! Harvest Snaps are a healthy, pea and/or lentil based snacking alternative. With half the fat and less sodium than potato chips, these snacks contain good-for-you stuff like protein, fiber, Vitamin B, calcium, iron, folate, and potassium. They’re cholesterol free, gluten-free, and non-GMO – and incredibly tasty! They come in a variety of great flavors like Tomato Basil, Wasabi Ranch, Onion Thyme, and even Coffee Toffee (in the Holiday Snaps edition), plus many more! Seeing is Believing! Holiday Specs instantly transform Christmas lights, fireworks, candles or any bright point of light into magical images. The holographic lenses bend the light, creating magical illusions. The Holiday Specs Christmas line includes Snowflake, Candy Cane, Ornament, Elf, Christmas Star, Fluttering Angel, Santa, Snowman, Reindeer, and Gingerbread Man glasses. Holiday Specs holographic glasses are great for party favors, greeting cards, teacher/student gifts, package decorations, holiday gifts, holiday light displays, corporate gift giving or fundraising. One lucky reader is going to win products from all of these sponsors to make their holidays merry and bright! The winner will receive a Postcard from Santa (in the form of a code to create a personalized postcard), a Family Size bag of YumEarth Organics Gummy Bears, an assortment of snacks from Harvest Snaps, and a Holiday Specs Party Pack! 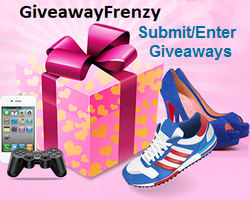 This giveaway ($42 ARV) is open to U.S. residents only and ends December 11, 2014 (11:59pm). This entry was posted in 2014 Holiday Shopping Guide, Giveaways and tagged 2014 Holiday Shopping Guide, Christmas, Food, Giveaway, Kids by Tara.Bookmark the permalink. How exciting it would be to get a personalized postcard/letter from Santa. It would prove that Santa really is watching so “you better watch out”! I’m looking forward to trying the Harvest Snaps. They look interesting. Thank you for the great giveaway. My daughter would be so excited to get the Postcard from Santa! I’m super excited about the Holiday Specs because they look and sound like they could be really cool to wear during our holiday light sight seeing around the state of Arkansas :)! We love Harvest Snaps – they are so addicting. I am most excited to win the Harvest Snaps. I am interested in trying the Harvest Snaps most. I’m excited about the YumEarth candy. I’m most excited about the Harvest Snaps! I’ve seen them at Target and have wanted to give them a try! I’m excited to win the Yum Earth candy. I am most excited about YumEarth Candy! I have been trying to win some of their candy forever!! Thanks for the awesome opportunity. I’ve really been wanting to try the holiday specs! I am most excited to try the Harvest Snaps. It has been many years since I had these, and I loved them. I am excited they are GMO free! !